If you’ve never picked up any of Mike Mignola’s works, you’re definitely missing out. Who is he, you ask? Well, you might have heard of his insanely successful comic book series Hellboy, which already has two big-screen adaptations and countless comic book spinoffs which continue to do extremely well in today’s market. Considering the fact that very few comic book titles even reach issue 100 these days, what he has done with Hellboy, and the world he has built around it, is beyond impressive. 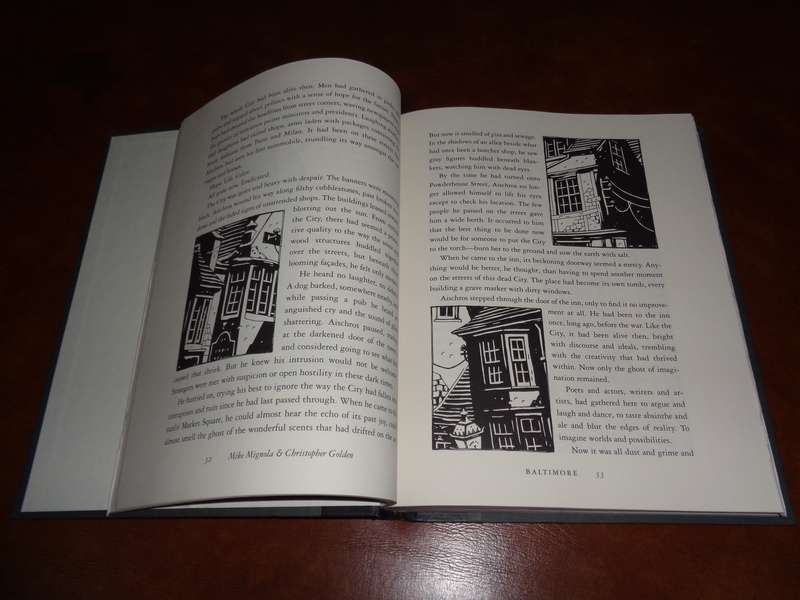 Last weekend I finished reading one of his lesser-known works; an illustrated novel called Baltimore, or, the Steadfast Tin Soldier and the Vampire, which he co-wrote with Christopher Golden. The story revolves around three strangers who were summoned at a rundown tavern by our protagonist, Lord Henry Baltimore – a soldier who had a run-in with a vampire during an ill-fated campaign which forever changed him. As they await his arrival, the three acquaintances swap tales of their own encounters with evil and how each one came to know Baltimore. Every chapter is in itself a short story and this makes the book very engaging. Mignola is a genius when it comes to horror/fantasy, borrowing from classical literature as well as folktales and mixing them with his own ideas, creating stories that are both familiar and new. In this novel, Mignola pays homage to classics including Hans Christian Andersen’s The Steadfast Tin Soldier and Bram Stoker’s Dracula. And did I mention the book has pictures? 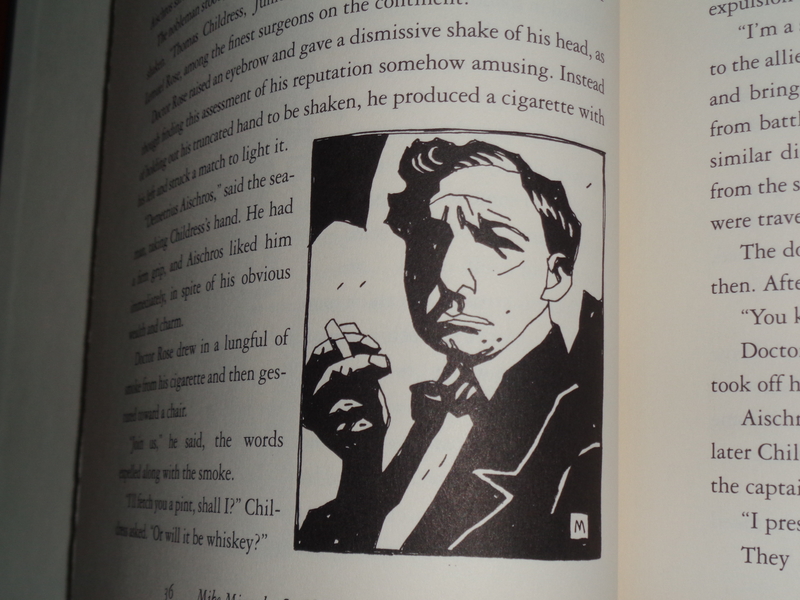 Mignola’s art fits the genre so well. 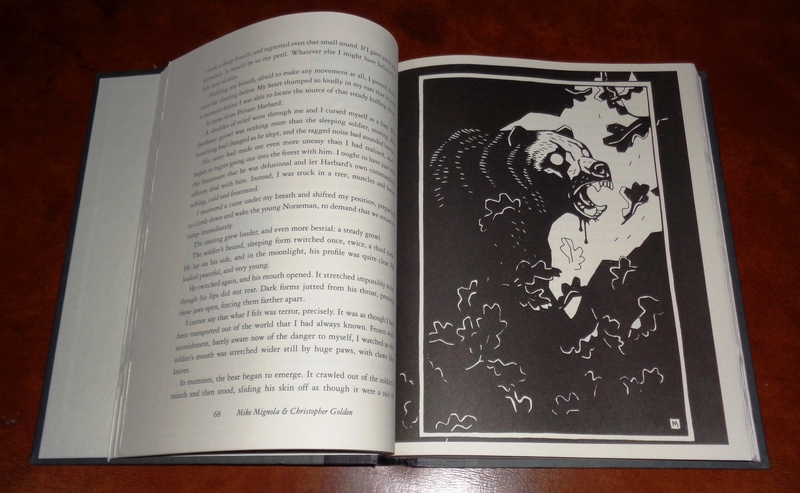 His simplistic illustrations and effective use of light and shadows complete the dark atmosphere of the book. Whether he’s drawing monsters, people, buildings or landscapes, his art never fails to enchant his work with his trademark eeriness. 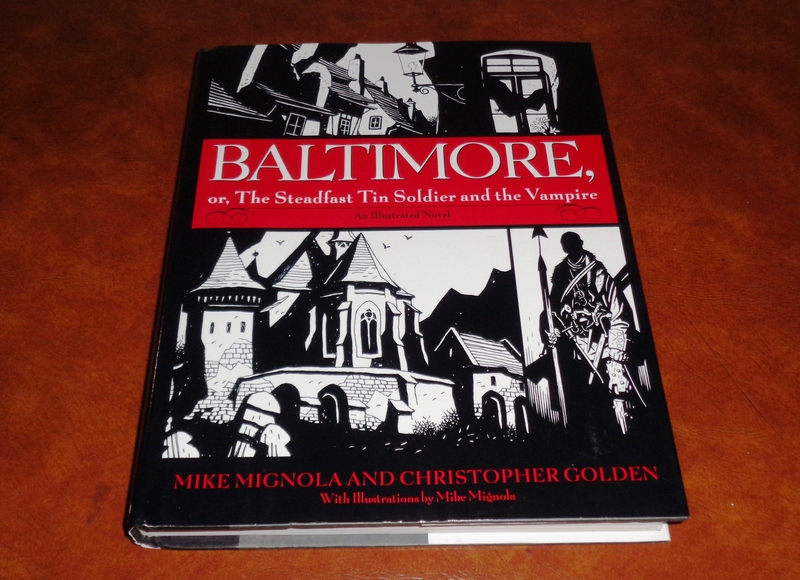 Baltimore is the first of three illustrated novels by Mignola which was released in 2007 and was later on continued as a comic book series. 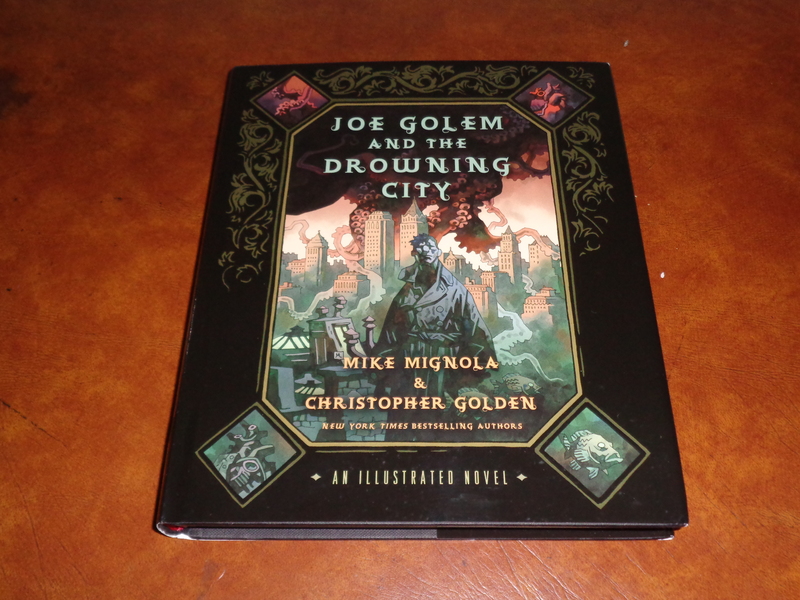 In 2012, he and Golden released two more illustrated novels: Joe Golem and the Drowning City and Father Gaetano’s Puppet Catechism. I read Joe Golem a few years back and it was one of the first few novels I read when I was starting to seriously get into books. While Baltimore drew inspiration from the classics, Joe Golem closely resembles Mignola’s Hellboy series, pitting a humanized golem against occult forces and a god-summoning cult leader. You may check out more of Mike Mignola’s art on his amazing website. The book is very good, the continuing Baltimore comic series is even better, classic Mignola art and storytelling coming together wonderfully. I can’t wait to read the comics! M.M. is brilliant in his simplicity. His stories are straightforward and his art depicts his ideas precisely without being too technical. Always an entertaining read. Cool blog you have here! Thanks so much for following me! I will be back to read more of your stuff soon!